Niacin has become an increasingly popular supplement for those trying to keep their lipid levels within a healthy range. Studies have shown that niacin can lower LDL cholesterol and triglycerides and it may raise HDL cholesterol. Because of its ability to touch all aspects of your lipid profile, it may be tempting to go to your local pharmacy or health food store to get a bottle. However, when you arrive in the niacin section of the supplements aisle, you may encounter a vast array of niacin supplements. Before you reach for that bottle of niacin, learn how to distinguish between the different types of niacin you might find on the shelves. Before you purchase and begin taking a niacin supplement—or any supplement—you should speak with your healthcare provider. Although niacin appears to improve your lipid profile, a 2017 Cochrane review of studies of niacin found that benefits of niacin therapy to prevent cardiovascular disease or reduce death was unlikely, with moderate to high-quality evidence against it. One large study (AIM-HIGH study) showed that taking extended-release niacin with a statin does not prevent cardiovascular disease any more than taking a statin alone. Additionally, individuals taking niacin in this study had a higher incidence of experiencing an ischemic stroke. Even though most niacin supplements are sold over-the-counter, this does not mean that they cannot adversely affect your health. For instance, niacin may also interact with some medications that you are taking. Additionally, niacin may cause side effects or worsen certain medical conditions. Current guidelines do not recommend the use of niacin in treating cholesterol levels. If your healthcare provider says it is OK for you to add niacin to your cholesterol-lowering regimen, you should still disclose that you are taking niacin, along with any other supplements and medications you are taking, to all of your healthcare providers. This will help them to check for any drug interactions or medical conditions that may develop. Most studies examining niacin’s effect on lowering lipid levels have involved the use of nicotinic acid. Although nicotinamide and inositol hexanicotinate are popular forms of niacin due to the lack of flushing associated with nicotinic acid, there is very little evidence that these forms of niacin can reduce lipid levels. Even though most bottles may be labeled as niacin, you should check on the label of the bottle to make sure which form of niacin it is. Immediate release (IR) nicotinic acid is a form of nicotinic acid that is absorbed into the bloodstream at one time. Although you are receiving this dose of nicotinic acid at the same time, this may make you more likely to experience side effects, such as flushing and indigestion. Sustained release (SR) nicotinic acid is released more gradually into the bloodstream and may reduce some of the undesirable side effects associated with nicotinic acid therapy. Extended-release (ER) nicotinic acid is also released over a slower period of time but is only available by a prescription from your doctor. Over-the-counter formulations of niacin can vary in strength and may contain other vitamins, minerals, and herbs. 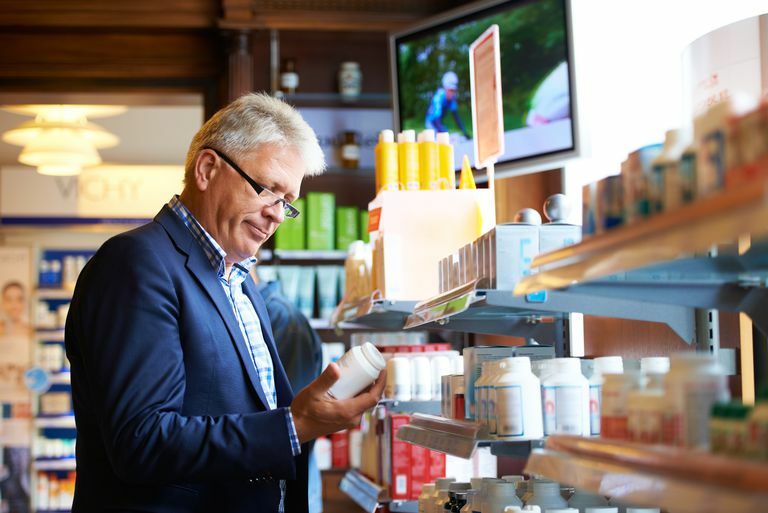 It is very important that you look on the manufacturer’s label on the bottle regarding directions on how to take the product and other ingredients in the supplement in order to avoid side effects—and possibly save you some money. Your healthcare provider also can help you to determine what dose to take and ways to prevent side effects when starting niacin therapy. AIM-HIGH Investigators, Boden WE, Probstfield JL, Anderson T, Chaitman BR, Desvignes-Nickens P, Koprowicz K, McBride R, Teo K, Weintraub W. Niacin in Patients with Low HDL Cholesterol Levels Receiving Intensive Statin Therapy. New England Journal of Medicine. 2011;365(24):2255-2267. doi:10.1056/nejmoa1107579. Mackay D, Hathcock J, Guarneri E. Niacin: chemical forms, bioavailability, and health effects. Nutrition Reviews. 2012;70(6):357-366. doi:10.1111/j.1753-4887.2012.00479.x. Managing Blood Cholesterol in Adults: Systematic Evidence Review From the Cholesterol Expert Panel, 2013. The National Heart, Lung and Blood Institute. Schandelmaier S, Briel M, Saccilotto R, et al. Niacin for primary and secondary prevention of cardiovascular events. Cochrane Database of Systematic Reviews. 2017. doi:10.1002/14651858.cd009744.pub2.